Over the course of this past year, I’ve noticed that one thing has had an impact on me more than others; and that’s the role that multiple mentors have played in helping me advance in my work, avoid costly missteps, and most importantly, continue to understand the value of relationships. My first real job out of college was working for a nonprofit organization. I had a pretty rosy outlook on what it would be like to work at a 501c3 organization; after all, I was being paid to serve people and the community. To my surprise, I found out there was much more to workplace satisfaction than the mission of the organization that employs you. It’s an important piece of the puzzle, but alone, it can’t make up for the quality at which you’re being supported, taught and encouraged to grow into your potential – a.k.a. mentorship. First, it gives me a place to process all that I’m experiencing. Being a young professional oftentimes feels like drinking from a firehose – there’s so much to learn, and it can be overwhelming. Having a mentor provides me an outlet to verbalize and make sense of the information and emotions I’m processing through the lens of wisdom experience. Second, mentorship has been a difference-maker in my life through the confidence it provides me. It’s easy to feel intimidated when you’re the one in the room with the least amount of experience. 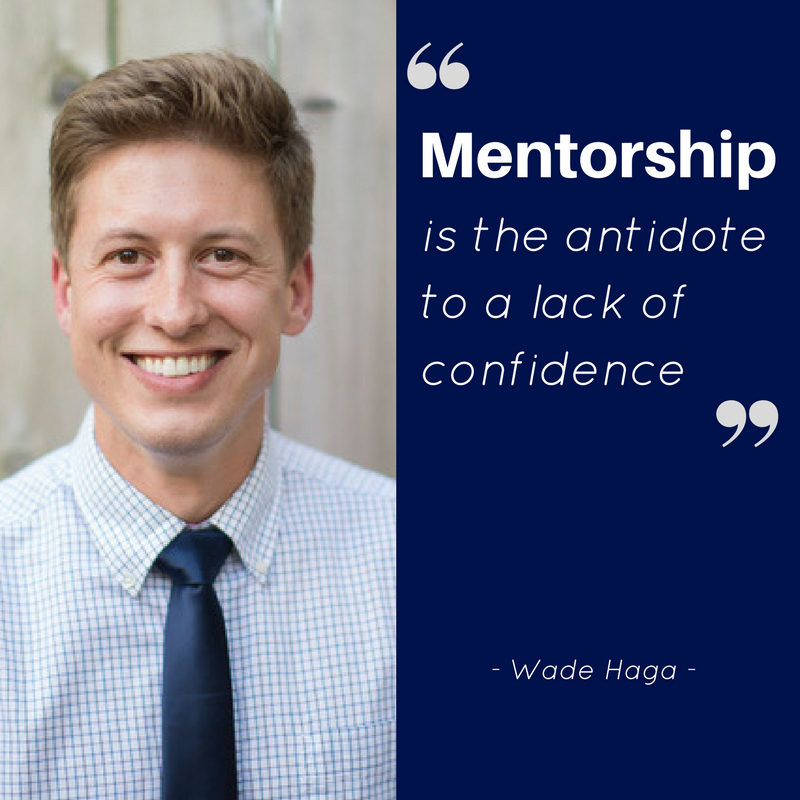 Mentorship has been the antidote to the lack of confidence I sometimes feel. It’s like a turbo boost, propelling me beyond what I’m capable of on my own. Mentorship can look different for everyone, but all of the relationships have one thing in common: the mentor takes time out of their busy schedules to pour into the mentee, whether it’s coffee, an honest critique, or an introduction. I look forward to continuing the mentorship relationships I have and to the time when I’m able to pay it forward.